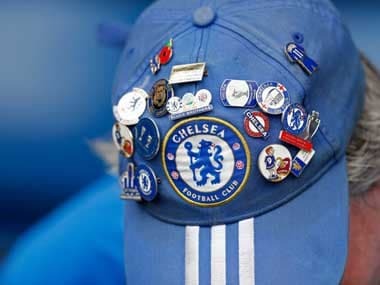 London: Eden Hazard offered Chelsea fans hope his future may remain with the Londoners by stating he wants to become a club "legend" like former teammates Frank Lampard, John Terry and Didier Drogba. 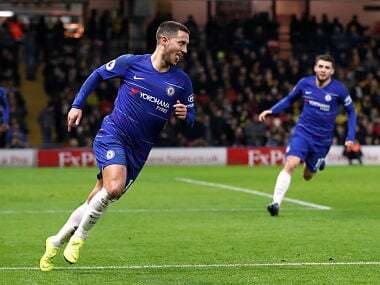 Hazard scored his 100th and 101st Chelsea goals as Maurizio Sarri's men moved back into the Premier League top four by grinding out a 2-1 win at Watford on Boxing Day. However, doubts remain over the Belgian's future with his contract set to expire in 2020 and persistent rumours over interest from European champions Real Madrid. "It means a lot, especially because we won today also," said Hazard on reaching his Chelsea century. "100th and 101st goal with this amazing club is something I will never forget, but now the fans, me, the staff, the players, we want more. "I want to score more goals for this club and be a legend like Lampard, Terry or Drogba." Two of the three goals came in first-half stoppage time as Hazard's opener was quickly cancelled out by Roberto Pereyra's spectacular strike. 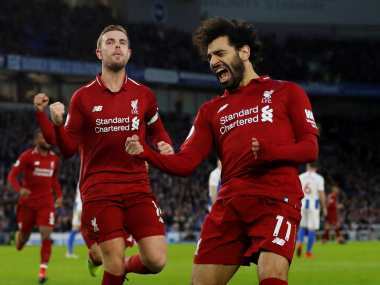 However, Hazard made sure he was the match-winner as he was brought down by Ben Foster and then converted the resulting spot-kick early in the second half to move Chelsea two points ahead of Arsenal in the battle for Champions League qualification. Despite fuming at Chelsea's lack of focus in losing at Stamford Bridge for the first time in charge of the Blues to Leicester on Saturday, Sarri named the same starting line-up with Hazard again serving as the focal point of the attack ahead of Olivier Giroud and Alvaro Morata. "Hazard can play in every position," said Sarri. "Today he played very well with two goals and could have had two or three assists." 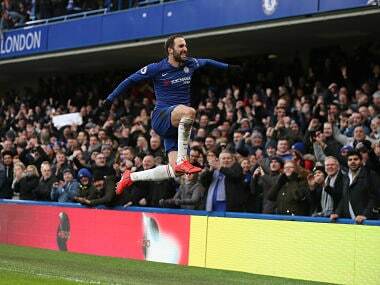 Chelsea's top scorer had to wait for his chances to come but showed why Sarri persists with him through the middle as he coolly rounded Foster from Matteo Kovacic's pass to give Chelsea the lead. Watford were level within two minutes as Jose Holebas' corner perfectly picked out Pereyra on the edge of the Chelsea box and the Argentine connected sweetly on the volley to find the bottom corner. 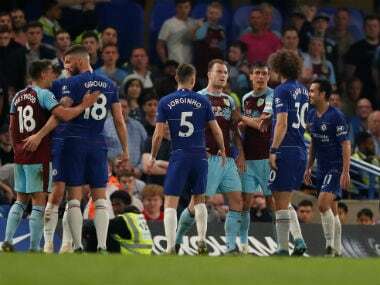 The hosts had claims for a penalty waved away when Gerard Deulofeu tumbled under a shoulder barge from David Luiz, but there was no controversy when at the other end moments later Hazard was hauled down by Foster. Hazard picked himself up to dispatch the penalty confidently and by the end, Chelsea's margin of victory should have been greater. Willian and N'Golo Kante drilled low shots inches wide and Foster had to race back to his goal after going forward for a late Watford corner to deny Hazard his hat-trick with the last action of the game. "We could have won with another result because in the last 20-25 minutes we missed opportunities," added Sarri. "At the end of the match, we did very well, especially mentally."